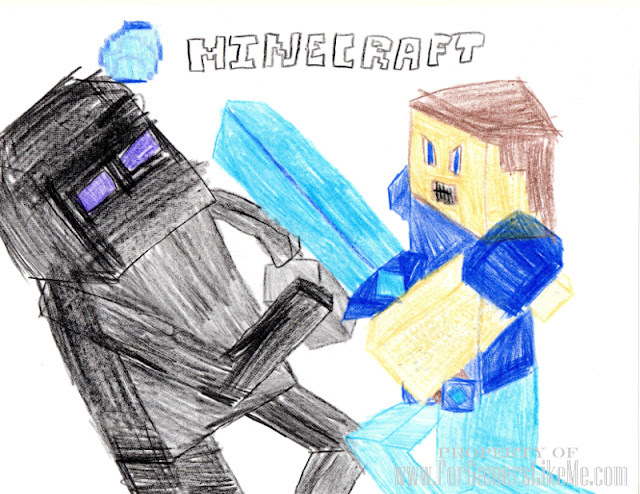 For my newest fan art, I present, one of my favorite games of all time, Minecraft! It shows Steve, the main character of the game, aka, the player (right). He is fighting an Enderman, or as I know them, the annoying people that take your blocks. (left).